To my surprise, it turns out that neither the Rif nor the Rosh ever penned commentaries to those two masekhtas. 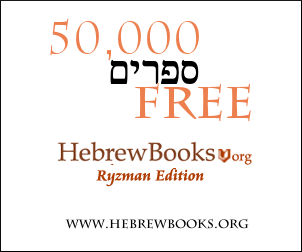 According to the Jewish Encyclopedia articles ("Alfasi, Isaac ben Jacob" and "Asher ben Jehiel", respectively), the Rif's Sefer haHalakhot covers only Berakhot, Shabbat, Eruvin, Pesachim, Ta'anit, Beitzah, Rosh haShana, Yoma, Sukkah, Megillah, Mo'ed Qatan, Yevamot, Ketubot, Gittin, Qiddushin, Nedarim, Chullin, Bava Qamma, Bava Metzia, Bava Batra, Sanhedrin, Makkot, Shevu'ot and Avodah Zarah (link). The commentary of the Rosh covers only Seder Zeraim (except for Berakhot), tractates Nedarim and Tamid, and all of Seder Taharot. The digest of those commentaries that was composed by his son, titled "Pisqei haRosh", is appended to a range of other tractates as well (just taking a few randomly from the shelf, I found it on Bava Qama, Sanhedrin and Menachot), though is evidently not appended to all of them. The Jewish Encyclopedia article doesn't list which tractates it is found on and which it is not, though it appears then to be totally absent from Nazir and Sotah amongst others (link). How many others, I don't know. Since the Piskei HaRosh (compiled by his son) is a summary of the halachic conclusions in the aforementioned compendium, it wouldn't exist on any masechta where the Rosh didn't write (and by implication, any masechta where the Rif didn't write). Not the answer you're looking for? Browse other questions tagged sources-mekorot tractate-sotah rif-rabbi-isaac-alfasi rabbeinu-asher . What are the different opinions on “shmura matzah” and where can they be found?